So that Bill Murray guy, he’s got “Saturday Night Live”, “Stripes”, “Caddyshack” and “Ghostbsters” to his name. Not a bad career right? Yep, for most, but Murray did all those over about a 10-year stretch. What’s weirder? He’s in icon status now and probably has more popularity in 2014 than he did 10 or 15 years ago. If he keeps starring in movies like “St. Vincent”, that popularity is going to go nowhere but up. 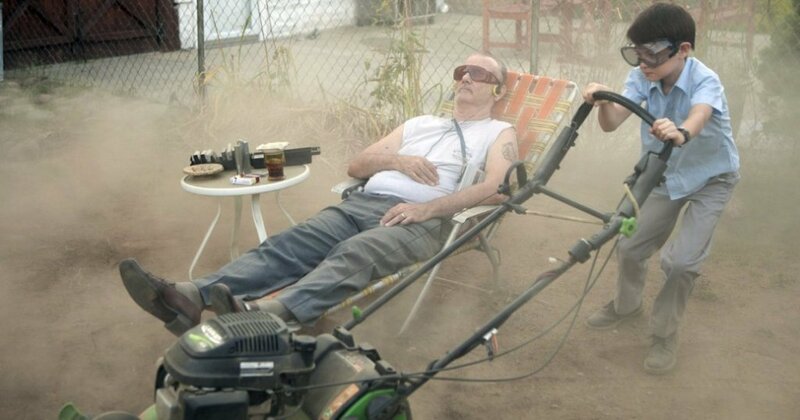 Living in his old Brooklyn home, Vincent MacKenna (Bill Murray) is content to live as a crotchety, grumpy, retired old guy. He goes to the horse track, drinks regularly at the local bar and spends some “quality time” semi-regularly with Daka (Naomi Watts), a pregnant Russian stripper/prostitute. Nothing wrong with all that, right? Well, his cozy, grouchy existence is about to be thrown for a loop. 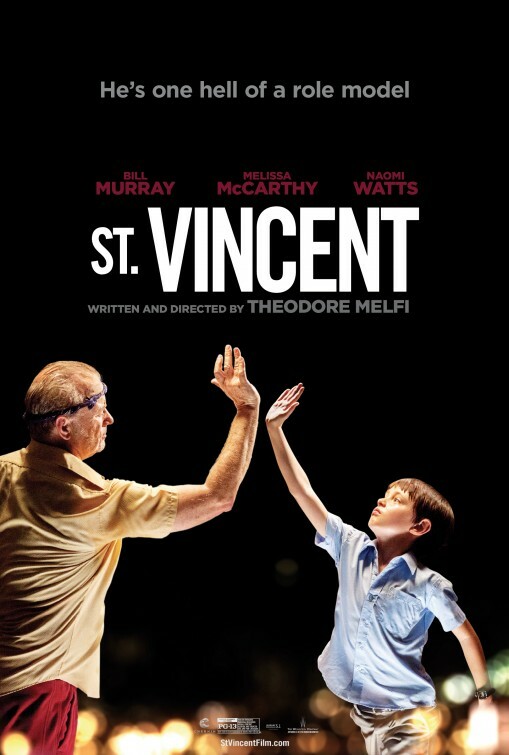 Vincent has some new neighbors next door, a mom, Maggie (Melissa McCarthy), starting a new job as a nurse, and her 12-year old son, Oliver (Jaeden Lieberher). His standoffish, downright rude interactions get things started off on quite the positive – that’s sarcasm – but Vincent can only do so much. Looking to provide as best as she can, Maggie has to take some long shifts…and Oliver needs a babysitter. In steps, Vincent who oddly enough gets along with young Oliver pretty well and pretty quickly. No way that oddball friendship works, right? Ever heard the name Theodore Melfi? Yeah, me neither. To be fair, you shouldn’t have. Melfi is a longtime producer who has also directed some short films. This 2014 comedy/drama is his feature film debut, and for good measure, he also wrote the screenplay. It’s quite the successful debut with universally positive reviews and a decent box office showing as it picks up some word of mouth while also getting a more major theatrical release. The biggest thing I can say/warn about is that this isn’t your typical indie comedy full of quirks and eccentricities and oddballs. All those things are there, but it isn’t the exact same movie you’ve seen over and over again. It is familiar. It is predictable, and you’ve most likely seen similar movies before. Now all that said…I loved this flick from beginning to end, predictability or not. 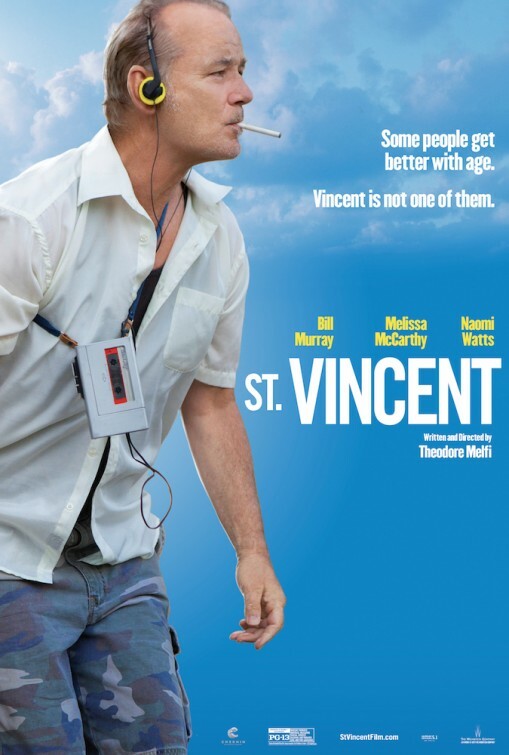 Go figure that Bill Murray is really, really good here as Vincent MacKenna. This isn’t hamming it up goofy Carl the groundskeeper. This is an excellent acting performance. Rocking an understated, not laid on too heavy Brooklyn accent, Murray gives some real depth to Vincent. You think you know everything about him from the moment you meet him, but credit to Melfi’s script – there’s a whole lot more going on with Vincent than what we see at first. Yes, he’s an alcoholic, he gambles too much and he’s rude, crude and politically incorrect, but don’t judge too early. Not always likable, not easy to hate, he’s a normal guy in his older years struggling with those years passing by. In the predictability department, it doesn’t come as much of a surprise that Murray’s cantankerous fogie bonds pretty quickly with Oliver. This is a kid in a new neighborhood and school without many friends, and he doesn’t seem too put off by Vincent’s surly act. They click instantly. Vincent teaches Oliver how to defend himself, to stand up for himself. Is it clichéd? Yes, 100 percent, but it is handled in expert fashion. 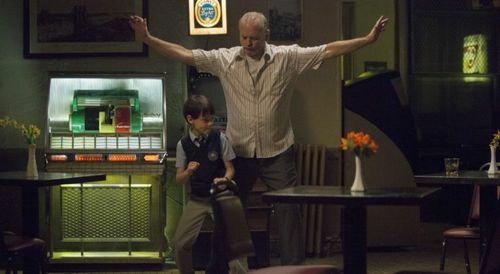 It’s got a touch of “Gran Torino” (Eastwood in the old guy role), but a lighter touch. Young Lieberher is excellent too, a natural, easygoing and likable presence as Oliver. He’s not the disgustingly adorable little kid that seems so prevalent in movies. He’s just a kid, and that makes all the difference. For Murray, maybe there’s an Academy Award nomination in his future. Hopefully at least. There isn’t a weakness in the cast, starting obviously with Mr. Murray and Lieberher. I really like Melissa McCarthy, and it’s cool to see her do a funny but still pretty dramatic performance. She gets the laughs, but she doesn’t count on the physical, often overdone humor that has limited the potential of a movie like Identity Thief. Watts has some fun as the Russian stripper/prostitute who’s pretty clueless but gets along with Vincent just the same. Also look for Chris O’Dowd as the religion teacher at Oliver’s school, Terrence Howard as Vincent’s bookie, Dario Barosso as Oliver’s bully turned friend, and Kimberly Quinn as a nurse Vincent sees once or twice a week. An excellent cast full of interesting, sympathetic (some not as sympathetic) characters that all add that human touch to the story. I’ll give Melfi’s script credit. For the most part, it is fairly to pretty predictable. You always kinda have a sense where things are going…until you don’t. The script throws the audience for some loops about the halfway point that worked pretty well. Some reviews I read thought it got a little too sentimental, but I thought the tone and story departures worked pretty well. It comes back to a straightforward thought that isn’t the most uplifting thought, but it is honest. That thought? “Life ain’t tidy”. It’s rarely easy to fix or solve. Life has problems, often unforeseen problems, and you have to decide how much you want to work to fix those problems. I loved this movie from beginning to end. A good sign of its impact on audiences? The credits feature Murray alone on-screen sitting, just singing and doing some odds and ends. Nobody in the theater left. We all sat and kept watching it until the end. A testament to the movie, especially to Murray’s awesome lead performance. I loved this movie and can’t recommend it enough.